SKU: N/A. Tags: Ghost Train Haze, Ghost Train Haze Hybrid, Medical Marijuana strains, Medical Marijuana strains delivered. If you are looking for a top grade hybrid strain of Cannabis in Monterey California then try Ghost Train Haze from PotValet for immediate Marijuana delivery in Monterey. If you’re looking for a sativa dominant strain of marijuana that can bring you some of the best properties of indica too, then ghost train haze hybrid is a great choice. This variety of marijuana has dense buds that are characterized by a ghost-like frosting of white crystal-capped trichomes. It is comprised of 70% sativa and 30% indica and wont leave you drowsy whilst you are enjoying the effects that it brings about. This strain features sour citrus aromas infused with floral undertones and offers a particularly potent amount of THC for those who want to use marijuana for medicinal purposes. You can use this strain to treat pain, muscle spasms, nausea and anxiety. It can also help with a loss of appetite. If you use this strain in small amounts, you should see an improvement in your creativity and concentration levels, however, as the name suggests, your mind may become hazy with higher doses. As a user I highly recommended. 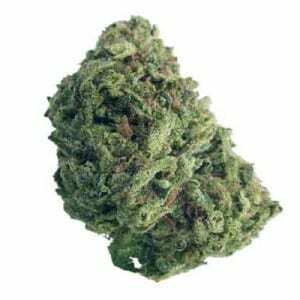 As a user I assure you that Ghost Train Haze (Hybrid) Monterey Marijuana is very effective to remove strain to treat pain, muscle spasms, nausea and anxiety.